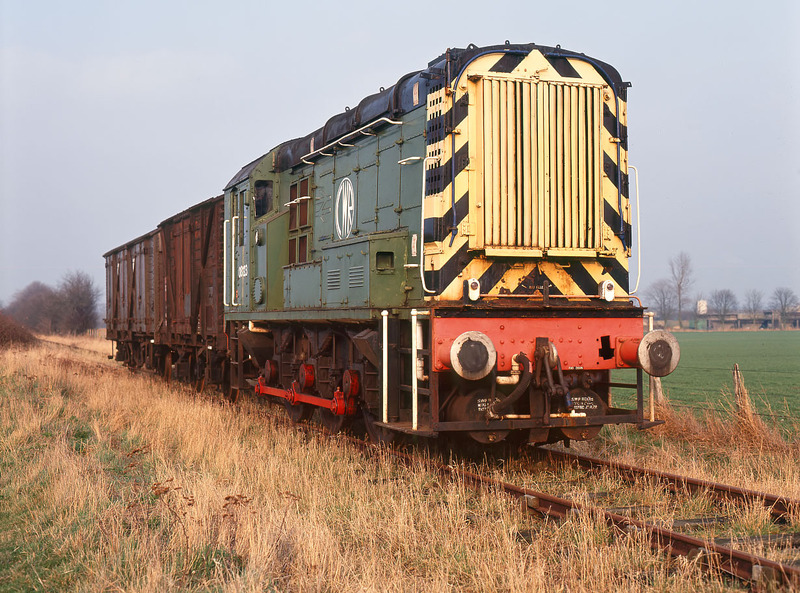 One of the numerous Class 08s that have found a new lease of life on preserved railways. 08123 is parked on the Cholsey & Wallingford Railway's line near Cholsey on 29 February 1992. This 1955 built machine now carries GWR brunswick green livery with the GWR monogram adapted to CWR. Originally allocated to Severn Tunnel Junction, this loco then moved to Newport and finally Crewe, from where it was withdrawn in 1984.